A important paper published today in the Journal of Climate finds that a central IPCC assumption is false: climate models can not be considered to be independent and that ensemble means of models can not be used to quantify uncertainty of climate change. In essence, the models themselves exhibit confirmation bias and are largely based upon the same underlying true or false assumptions. Reliance by the IPCC upon this false assumption of model independence leads to "results [that] will be overconfident and may be treated as more precise than they really are," such as the increase of IPCC confidence in anthropogenic global warming despite global cooling over the past three assessment reports, and IPCC model ensembles which exaggerate warming by a factor of 3-5 times. "The results confirm that the climate models cannot be considered independent and show that the bias depends on the value of precipitation. This has an influence on the results of the uncertainty quantification. Both the mean and spread of the change in extreme precipitation depends on both assumptions. If the models are assumed independent and the bias constant, the results will be overconfident and may be treated as more precise than they really are. This study highlights the importance of investigating the underlying assumptions in climate change impact studies, as these may have serious consequences for the design of climate change adaptation strategies. Climate change impact studies are subject to numerous uncertainties and assumptions. One of the main sources of uncertainty arises from the interpretation of climate model projections. Probabilistic procedures based on multi-model ensembles have been suggested in the literature to quantify this source of uncertainty. However, the interpretation of multi-model ensembles remains challenging. 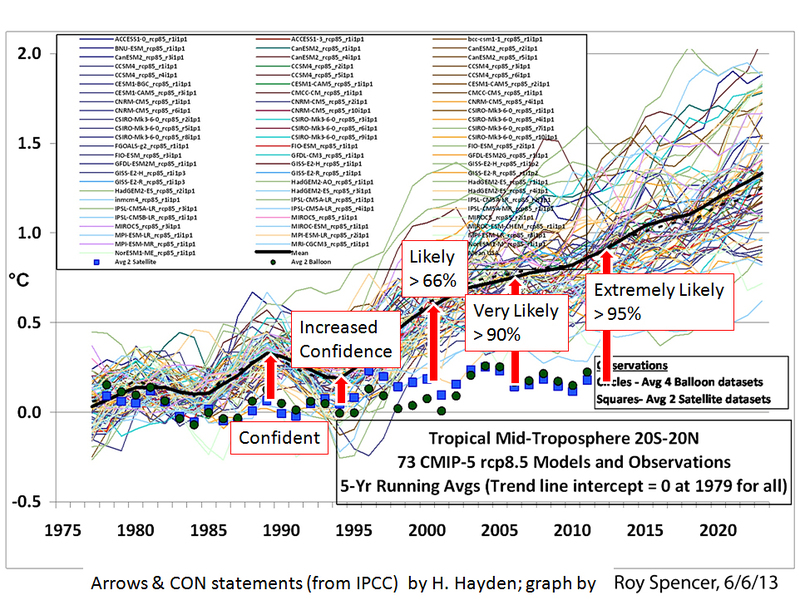 Several assumptions are often required in the uncertainty quantification of climate model projections. For example, most methods often assume that the climate models are independent or/and that changes in climate model biases are negligible. This study develops a Bayesian framework that accounts for model dependencies and changes in model biases and compares it to estimates calculated based on a frequentist approach. The Bayesian framework is used to investigate the effects of the two assumptions on the uncertainty quantification of extreme precipitation projections over Denmark. An ensemble of regional climate models from the ENSEMBLES project is used for this purpose. The results confirm that the climate models cannot be considered independent and show that the bias depends on the value of precipitation. This has an influence on the results of the uncertainty quantification. Both the mean and spread of the change in extreme precipitation depends on both assumptions. If the models are assumed independent and the bias constant, the results will be overconfident and may be treated as more precise than they really are. This study highlights the importance of investigating the underlying assumptions in climate change impact studies, as these may have serious consequences for the design of climate change adaptation strategies.